Full of small towns and sparkling cities, this welcoming area invites all who visit to put your feet up, have a glass of ice tea in a mason jar and reminisce on some of the most wonderful things in the South. 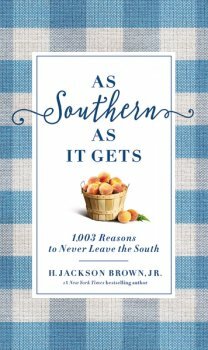 Written by true Southern gentleman H. Jackson Brown Jr., As Southern As It Gets is a charming book of lists—a celebration of all things Southern that will charm and delight anyone who was raised south of the Mason-Dixon or who wish they lived there. 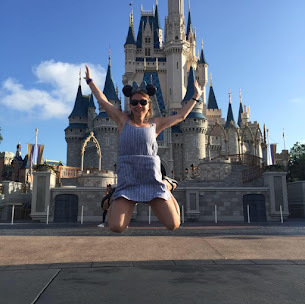 From Music Row in Nashville, to Daytona Beach in Florida, and Charleston to New Orleans, As Southern As It Gets will remind you of why we Southerns so love our home. If you're in for some southern charm, this book is for YOU! This book is sweet and full of the south! It's a heart warming book full of everything about the south. If you are moving to the South, I highly recommend this book. It gives you so many different food, sayings and places in the south that I've never heard of. I love this list and the quotes that are in this book. It is the cutest book and I can't wait to look up some of these foods, places to visit and find recipes. Thank you to publisher for providing me a complimentary copy. I give this book 5/5 stars.